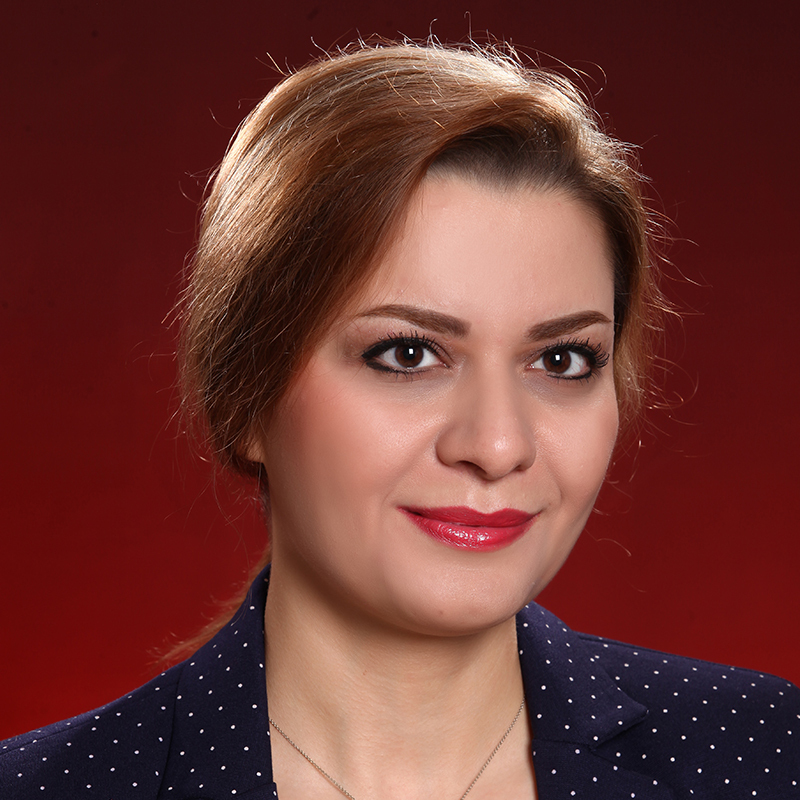 Maryam Ghasmeaghaei is an Assistant Professor of Information Systems. Her research falls in the area of effective data analytics use in organizations. She is also interested in the area of information technology adoption, with a particular focus on human computer interaction. Her multidisciplinary education in marketing, industrial management and information systems, allows her to bring a diversified perspective to her research and teaching. Maryam was awarded the Ontario Trillium Scholarship (2011-2014), as well as the Norm Archer Endowed Prize (2014). She received the Information Systems Division Honourable Mention Award from ASAC (2013). •M. Ghasemaghaei, and C. Goran (2019). “Can Big Data Improve Firm Decision Quality? The Role of Data Quality and Data Diagnosticity”, Decision Support Systems – Accepted. •M. Ghasemaghaei, (2019). “Does Data Analytics Use Improve Firm Decision Making Quality? The Role of Knowledge Sharing and Data Analytics Competency”, Decision Support Systems – Accepted. •M. Ghasemaghaei, (2019). “The Impact of In-Depth Online Recommendation Agents on Consumer Disorientation and Cognitive Absorption Perceptions”, Behaviour & Information Technology– Accepted. •M. Ghasemaghaei, (2019). “Are Firms Ready to Use Big Data Analytics to Create Value? The Role of Structural and Psychological Readiness”, Enterprise Information Systems – Accepted. •M. Ghasemaghaei, (2019). “The Role of Positive and Negative Valence Factors on the Impact of Bigness of Data on Big Data Analytics Usage”, International Journal of Information Management- Accepted. •M. Ghasemaghaei, K. Hassanein, I, Benbasat, (2019). “Assessing the Design Choices for Online Recommendation Agents for Older Adults: Older Does Not Always Mean Simpler Information Technology”, MIS Quarterly, 43(1), 329-346. •M. Ghasemaghaei, B. Kapoor, O. Turel. (2019). “Impact of Business Analytics Maturity Level of MBA programs on Salary and Job Placement: The Role of University Ranking”, Communications of the Association for Information Systems, Accepted. •M. Ghasemaghaei, K. Hassanein, (2019). “Dynamic Model of Online Information Quality Perceptions and Impacts: A Literature Review”, Behaviour & Information Technology, 38 (3), 302-317. •M. Ghasemaghaei, (2018). “Improving Organizational Performance through the Use of Big Data”, Journal of Computer Information Systems, Forthcoming. •P. Eslami, M. Ghasemaghaei, (2018). “Effects of Online Review Positiveness and Review Score Inconsistency on Sales: A Comparison by Product Involvement”, Journal of Retailing and Consumer Services, 45, 74-80. •P. Eslami, M. Ghasemaghaei, K. Hassanein (2018). “Which Online Reviews’ Do Consumers Find Most Helpful? A Multimethod Investigation”, Decision Support Systems, 113, 32-42. •M. Ghasemaghaei, P. Eslami, K. Deal, K. Hassanein, (2018). “Reviews’ Length and Sentiment as Correlates of Online Reviews’ Ratings”, Internet Research, 28 (3), 544-563. •M. Ghasemaghaei, S. Ebrahimi, and K. Hassanein, (2018). “Data analytics competency for improving firm decision making performance”, Journal of Strategic Information Systems, 27 (1), 101-113. •M. Ghasemaghaei, K. Hassanein, and Turel, O, (2017). “Impacts of Data Analytics on Organizational Outcomes: A Resource Fit Perspective”, Decision Support Systems, 101, 95-105. •Doha. M. Ghasemaghaei, K. Hassanein, (2017). “Social Bundling: A Novel Method to Enhance Consumers’ Intention to Purchase Online Bundles”, Journal of Retailing and Consumer Services, 35, 106-117. •M. Ghasemaghaei, and K. Hassanein, (2016). “A Macro Model of Online Information Quality Perceptions: A Review and Synthesis of the Literature”, Computers in Human Behavior, 55, 972-991. •M. Ghasemaghaei, K. Hassanein, (2015). “Online Information Quality and Consumer Satisfaction: The Moderating Roles of Contextual Factors – A Meta-Analysis”, Information & Management, 52 (8), 965-981. •M. Ghasemaghaei, B. Ranjbarian, and S. Monadjemi, (2011). “Key Motivators for Iranian E_Shopping: A Neural Networks Based Approach”, Journal of Theoretical and Applied Information Technology, 33 (1), 119-134. •Shahin, and M. Ghasemaghaei, (2010). “Service Poka Yoke”, International Journal of Marketing Studies, 2 (2), 190- 201. •M. Ghasemaghaei, B. Ranjbarian, and S. Monadjemi, (2009). “Effective Factors on Iranian Consumers Behaviour in Internet Shopping: A Soft Computing Approach”, Journal of Computer Science, 5 (3): 172-176. •M. Javdan, M. Ghasemaghaei, (2018). “Big Data Analytics Assimilation: The Role of Institutional Pressures”, International Conference on Information Systems (ICIS), Pre-ICIS SIGDSA Workshop, San Francisco, USA. •G. Calic, M. Ghasemaghaei, A. Shevchenko, (2018). “From Sustainability Constraints to Creative Action: Increasing Managerial Innovativeness by Adopting Sustainability Constraints”, 34th EGOS Colloquium, Tallinn, Estonia. •G. Calic, M. Ghasemaghaei, (2018). “From Sustainability Constraints to Creative Action: Increasing Managerial Innovation by Simultaneously Solving Social and Commercial Needs”, Sustainability, Ethics & Entrepreneurship (SEE) Conference, Washington, USA. •M. Ghasemaghaei, (2017). “The Impact of Big Data on Firm Data Diagnosticity: Mediating Role of Data Quality”, International Conference on Information Systems (ICIS), Seoul, South Korea. •M. Ghasemaghaei, M. Zargoush, P. Stuart, R. Samavi, (2017). “Cognitive vs Chronological Age as Barriers to Using Wearable Activity Monitors in Older Adults”, International Conference on Information Systems (ICIS), SIG-HCI Workshop, Seoul, South Korea. •M. Ghasemaghaei, (2017). “The Effects of Operational and Cognitive Compatibilities on the Big Data Analytics Usage: Firm Distinctive Value Creation”, Twenty-third Americas Conference on Information Systems, Boston, USA. •M. Ghasemaghaei, (2017). “The Effects of Disorientation and Cognitive Absorption on Adoption of In-Depth Recommendation Agents: The Moderating Role of Age and Gender”, Twenty-third Americas Conference on Information Systems, Boston, USA. •P. Eslami, M. Ghasemaghaei, (2017). “Identifying the Conditions under Which Online Reviews Translate into Product Sales: A Sentiment Analysis Approach”, Twenty-third Americas Conference on Information Systems, Boston, USA. •M. Ghasemaghaei, (2017). “Under what Conditions Firms Can Successfully Implement ERP Systems? Combination of Qualitative and Quantitative Methods”, Administrative Sciences Association of Canada, Montreal, Canada. •M. Ghasemaghaei, S. Ebrahimi, K. Hassanein, (2016). “Generating Valuable Insights through Data Analytics: A Moderating Effects Model”, International Conference on Information Systems (ICIS), Dublin, Ireland. •S. Ebrahimi, M. Ghasemaghaei, K. Hassanein, (2016). “Understanding the Role of Data Analytics in Driving Unethical Managerial Decisions”, International Conference on Information Systems (ICIS), Dublin, Ireland. •M. Ghasemaghaei, P. Eslami, K. Deal, K. Hassanein, (2016). “Consumers Attitude toward Insurance Companies: A Sentiment Analysis of Online Consumer Reviews”, Americas Conference on Information Systems (AMCIS), San Diego, USA. •Doha, M. Ghasemaghaei, K. Hassanein, (2016). “Group Bundling versus Traditional Bundling in e-Commerce: A Field Experiment”, Hawaii International Conference on System Sciences (HICSS), Kauai, USA. •M. Ghasemaghaei, K. Hassanein, O. Turel, (2015). “Impacts of Big Data Analytics on Organizations: A Resource Fit Perspective”, Americas Conference on Information Systems (AMCIS), Puerto Rico, USA. •M. Ghasemaghaei, K. Hassanein, (2015). “Impact of Persuasion Processes on Consumer Attitude Towards Online Shopping: The Moderating Role of Product Involvement and Consumer Self-Efficacy”, Americas Conference on Information Systems (AMCIS), Puerto Rico, USA. •M. Ghasemaghaei, K. Hassanein, I. Benbasat, (2014). “Intention to Use Recommendation Agents for Online Shopping: The Role of Cognitive Age and Agent Complexity”, International Conference on Information Systems (ICIS), New Zealand. •M. Ghasemaghaei, (2014). “Understanding Intention to Use eCommerce Recommendation Agents: The Role of Cognitive Age and Agent Complexity”, International Conference on Information Systems (ICIS), Doctoral Consortium, New Zealand. •M. Ghasemaghaei, and K. Hassanein, (2013). “Online Information Quality and Consumer Satisfaction: The Moderating Role of Information Seeking Mode and Information Search Focus- A Meta-Analysis”, Administrative Sciences Association of Canada (ASAC), Calgary, Canada (Recipient of the IS Division Honorable Mention Award). •M. Ghasemaghaei, and K. Hassanein, (2013). “Consumers’ Satisfaction with Online Information Quality: The Moderating Role of Consumers Decision-Making Style, Gender and Product Involvement”, European Conference on Information Systems (ECIS), Utrecht, Netherlands. •M. Ghasemaghaei, N. Archer and K. Hassanein, (2012). “E-health Applications in Rural and Remote Areas for an Aging Society: Barriers and Solutions”, Advances in Health Informatics Conference, Toronto, Canada. •M. Ghasemaghaei, and A. Sanayei, (2008). “Web 3.0: The Evolutionary Stage of Web and its effect on E_Commerce”, 3rd International Conference on E_ Commerce, Isfahan, Iran. •Shahin, and M. Ghasemaghaei, (2008). “Service Poka yoke”, International Management Conference, Tehran, Iran. C. Goran, and M. Ghasemaghaei, (2018). “From Sustainability Constraints to Creative Action: Increasing Managerial Innovation by Simultaneously Solving Social and Commercial Needs”, Wiley.